Galveston Island, Texas offers sunbathing on the beach, swimming in the surf, fishing, fishing guides, boat tours, and fishing tours. Galveston also offers shopping, sight seeing, tourist attractions, seafood restaurants, historic buildings, surfing and more. 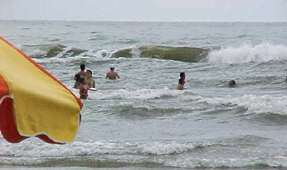 Swim in the gulf of Mexico at Galveston. 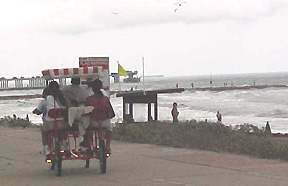 Galveston is one of Texas' most popular tourist places to visit. 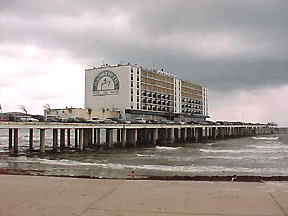 Galveston is on an island that is 32 miles long on the upper coast of Texas on the Gulf of Mexico. If you are looking for the perfect place to spend a weekend, a vacation or longer, Galveston Island has a lot to offer in the way of beach activity. An ideal resort location, Galveston offers miles and miles of beaches, great lodging, wonderful seafood restaurants, shopping, and a semi-tropical climate. Located only 50 miles southeast of Houston, Galveston is an easy getaway for a day or a weekend. You will find miles and miles of wide, spacious beaches with surfs ideal for swimming and wading. Rental umbrellas and chairs are available. Sunbathing, feeding the birds, wading in the surf, relaxing under the shade of an umbrella are great ways to spend the day. The breeze off of the gulf feels great as you are getting your tan. shops, clothing stores, and more. Bicycles are available for rent for those who want to leisurely tour the area. The four wheel bikes seem to be very popular. Some of them seat up to four people. 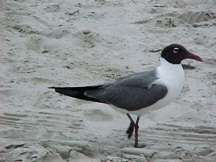 Nature lovers will find plenty to observe with the seagulls, pelicans, cranes and other sea birds. 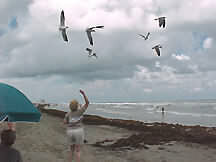 The seagulls are always ready for that next handout they can beg from the visitors to the beach. 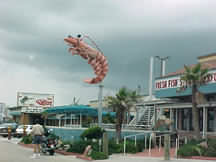 You will find plenty of nice restaurants in Galveston. Some have waterfront locations which offer great views of soaring birds and of the surfers and swimmers in the water. Driving or walking around Galveston you will see many historic homes. You will also find several museums and other attractions. The East End Historic District has been designated a historic district and has several restored historic homes. Bring your camera. You will have plenty of photo opportunities. Want to spend a few days or longer in Galveston? You can find accommodations for all incomes and lifestyles, all the way from luxury hotels to tent camping on the beach, and everything in between. Click the links below for hotel reservation availability. Pier 22 at Harborside Dr.
web site, please email us at info@touringtexas.com. 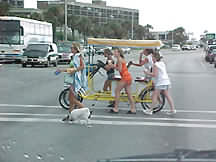 Galveston Island, Texas offers sunbathing on the beach, swimming in the surf, fishing, fishing guides, boat tours, and fishing tours. 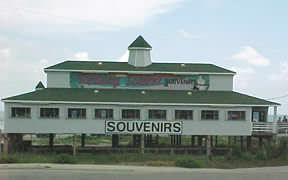 Galveston also has shopping, sight seeing, tourist attractions, seafood restaurants, historic buildings, surfing and more. 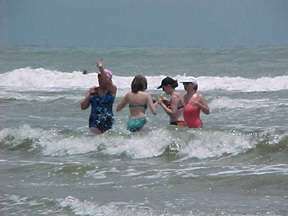 Swim in the gulf of Mexico at Galveston.